ANE, Agency Network Exchange, LLC, welcomes Beth Snyder Simpson as Vice President of Agency Recruitment and Development. This new position will expand the network in New Jersey and other Mid-Atlantic states. “We continue to see great demand from agents in New Jersey and beyond who are looking for a network that will allow them to remain independent, grow their agency and build their business,” said John Tiene, CEO, ANE. ANE has grown from just seven members in 2009 to more than 40 independent insurance agencies with over $350 million in premiums. In the last three years, the network has helped its members write more than $34 million in new business premiums and paid more than $1.8 million in profit sharing to members last year. Simpson’s experience in the insurance industry spans more then 20 years and boasts an outstanding record of new business development and team building for leading insurers including; United States Liability Insurance Group (USLI), Arthur Hall Insurance Group, CIGNA Property and Casualty, and Chubb and Son. As Vice President, Regional Sales Manager for USLI, she developed the Mid-Atlantic sales team to expand distribution to retail agencies for all business units, and successfully led the Mid-Atlantic and New England regions to more than $25 million in written premiums (YE 2013). 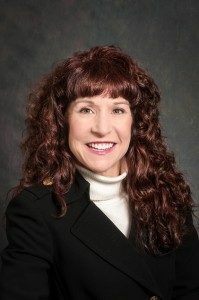 She has been the featured speaker for more than 35 continuing education seminars, and has a long record of coaching and employee development.